Dave ran his own successful sandwich bar and catering business in Wolverhampton city centre for 20 years prior to a career change in 2013. Starting his swimming career as a National level age group swimmer, Dave returned to Masters swimming in 2011, culminating in winning a bronze medal at the British Championships in 2013. He started volunteering at RWS on poolside at this point and realised this was where his future lay. Starting as Head coach at Wombourne SC, this gave him a platform to develop his own coaching style. In 2 years from 2014, Wombourne SC developed in to a leading Staffordshire club even with very limited pool time. Creating County Champions and Regional level swimmers at age group and youth level. In all the leagues entered the club made significant improvements in final league placings against much bigger, more established clubs with far bigger training platforms. 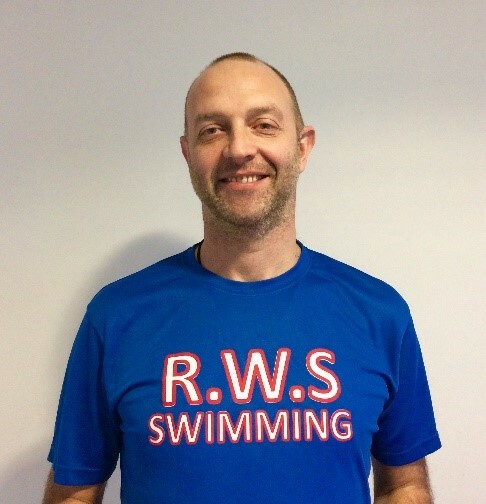 Dave is committed and excited to develop the RWS development and age group swimmers and help move them forward in the swimming pathway. Preparing swimmers with the required technique and mental strength to move to Elite Swimming.